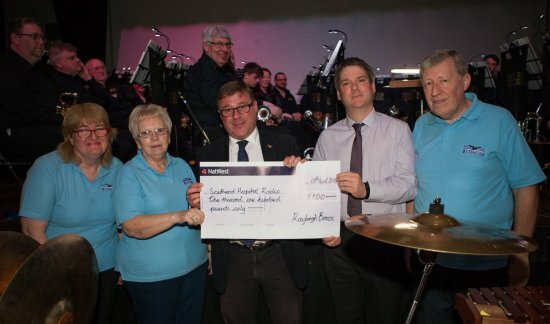 Our sincere thanks to Rayleigh Brass, not only for inviting us to their excellent concert at the Mill Hall in Rayleigh, but for the generous donation of £1,100 to the station funds. The money was raised during the groups Christmas Carol performances, and a team from Southend Hospital Radio was honoured to attend the concert in April 2015 to collect the cheque. An amazing evening of music, taking the audience on a musical journey through sun, rain and wind.